I write novels, short stories, poetry and song lyrics for children, teens and adults. If you have a question or comment about my books or website Contact Me. Come on in...Enjoy...and Happy Reading! What if you were fleeing for your life but had to leave your dog behind? Nine year old Rudi is escaping Nazi Germany on the Kindertransport to England. However, he cannot bring Hanno, his wonderful dachsund. Luckily his family find a way to smuggle Hanno to London. But with England on the brink of war, Hanno is still not safe. When a German invasion seems imminent, people start putting their pets down. To save Hanno again, Rudi joins a group of local kids in their hideout in the woods. A fast paced book full of courage and excitement. First author to receive the Author Award from PJ Ourway in America. PJ Ourway child reviewers loved Saving Hanno. Miriam Halahmy’s novel introduces readers to a little-known facet of the war . . . will please young readers. 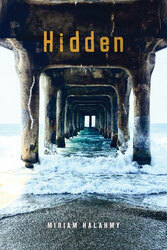 Stage adaptation of my novel HIDDEN. The stage play of my novel HIDDEN toured schools and small theatres, September - November 2018. Find out more about the play and see the amazing photographs HERE! "It is the facts. The true facts." Josie and Tasha, both fifteen, are near-neighbours. But when their families let them down, they find themselves unlikely allies in a battle for survival. Josie is the daughter of an obsessive-compulsive hoarder whose house is no longer safe. Tasha, though materially cared for, feels threatened by her mother's new boyfriend, who her mother chooses over her daughter. They are girls on the margins of adulthood, who find themselves also on the margins of society. "We stare at each other and in that moment everything between us changes. Tasha with the mum who doesn't protect her and me with the mum in prison, neither of us with a proper home." Behind Closed Doors explores what teenagers are up against when there is no security at home. As someone who actually works in the field of Hoarding Disorder I read this book with interest. So often children who live in these conditions never have a chance to talk about their side of the story , as Miriam shows, they suffer in silence. Sometimes they do not realise that not everyone lives like this. I work with the adults usually but children ... are part of the story too, and they need to feel they have some say in their own room at least. Miriam showed great sensitivity and understanding around these issues ... It is hard for adults to know how to ask for help ... imagine how hard it is for the young who have no idea even where to start. This novel moves at a breathless pace showing the two girls coping in impossible circumstances. Each of them have secrets and are struggling to keep up a public face. Miriam Halahmy successfully uses a light touch with this dark material. I thoroughly enjoyed it. A gritty, moving and seldom told story about life for vulnerable young adults on the brink of homelessness seeking comfort and friendship in each other. Moving and powerful, Behind Closed Doors is a story of love, friendship and what home really means. A fast-paced gritty novel. Although dealing with some dark and mature material, Miriam Halahmy uses a delicate touch and explores these themes sensitively. Recommended as a perfect read for anyone. Teenage voices that feel authentic and true. A timely and uplifting story. I absolutely loved this book. 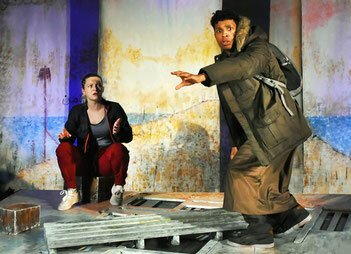 A tantalising tale of young people fighting to survive in a harsh world. I HIGHLY recommend this read for both adults and teenagers - it's worth every page. I was gripped from start to finish. Sensitively written, deeply moving and utterly compelling. Really well written. What I loved about this book is how much art imitates life - Tasha refuses to admit she's homeless. An uncomfortable read but a good one. Well worth it. Alix lives near the beach on Hayling Island. It is a quiet backwater, far removed from world events. One cold day in winter while they are walking on the beach,Alix and her school mate Samir pull a drowning man out of the freezing sea. He is an illegal immigrant, desperate not to be found and deported. Faced with the most difficult decision of their lives, what will Alix and Samir do and who can they trust? 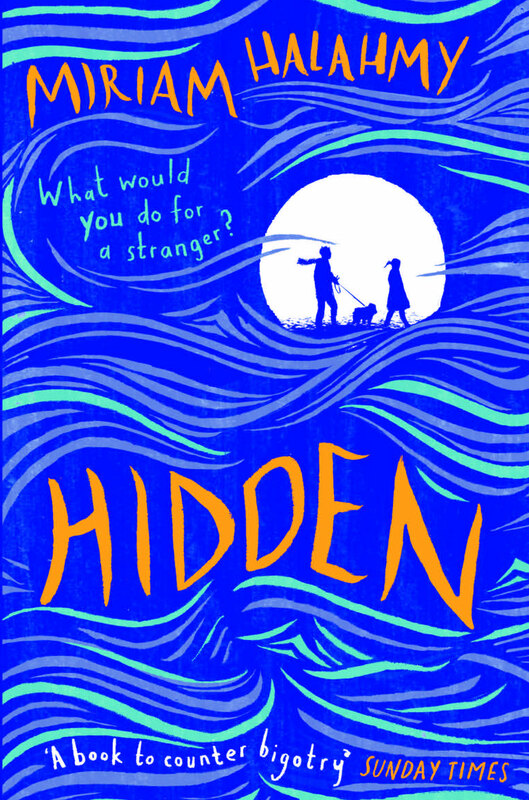 This new edition of HIDDEN has been published by Troika Books to tie in with the stage adaptation of the novel.The play will tour, Autumn 2018. This is a book about a serious subject which nonetheless preserves a warmth, comic touch and an optimistic approach. The least likely characters turn out to have hidden, empathetic depths, and the end is a resolution as full of hope as possible. It explores important, sobering topics like torture and the events that drive people to travel across the world to seek refuge, without at any point being bleak. Such an inspirational book about acceptance and standing up for what you believe in. Thank you for writing a book that not only opens my eyes but also the eyes of my students. A must read! 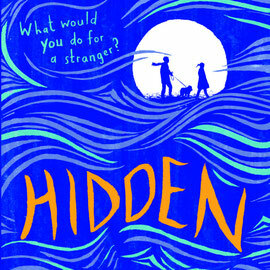 Hidden is a gripping story...written with clarity and immediacy...this is a book to counter bigotry. Nicolette Jones, The Sunday Times. Miriam left me feeling inspired and empowered to stand up for the things I believe in. Everyone should read this book...It's invigorating. Miriam Halahmy is a truly magnificent author. She makes you think and think. A gripping story focusing on an agonisingly difficult contemporary problem. Tautly written throughout, this fine novel deserves the widest audience. The pace of the narrative carries the reader through the messages about justice and integrity. A great story about a very real and current problem. It shows the reader precisely why refugees come here... because there is no alternative.